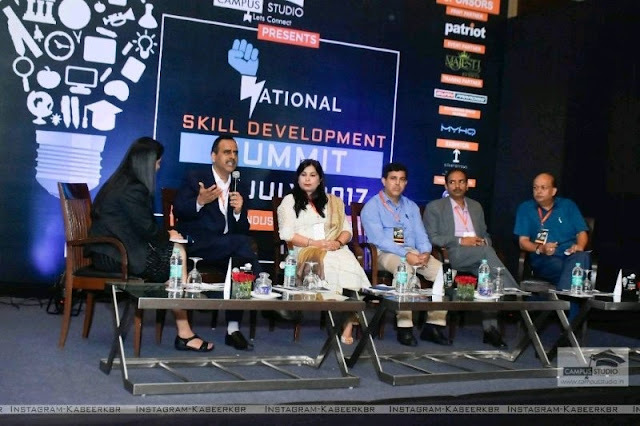 It was indeed a privilege to participate in National skill development summit on second Anniversary of Skill India Mission organised at Hotel The Lalit, New Delhi on 15 of July 2017. The event was graced by Chief Guest Mr. Shahnawaz Hussain ex Cabinet Minister and Guest of Honour NSDC Executive Director Mr Jayant Krishna. In this unique initiative, Industry leaders across domains from Corporates and Academia came together to discuss different initiatives and innovative strategies to support the cause of nation building by aligning their goals of investing in Skill Upgradation with Skill India Mission as envisioned by our Honourable Prime Minister. It was a great platform to enhance the skills for better education and to bring the hr leaders and human experts from the industries to solve the issues due to which there is gap between the academia and corporation.